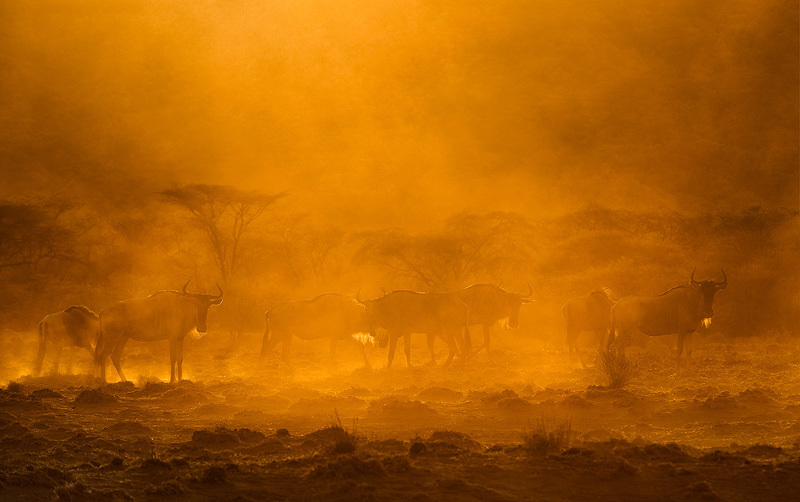 This was shot on a dusty afternoon in Kenya. I like dust as much as I like fog as it can add a lot of atmosphere to a photograph. In this case I positioned my vehicle such that this small herd of blue wildebeest (Connochaetes gnou) was between me and the sun. Shooting towards the sun brings out all the subtle textures in the mist, while turning everything into soft silhouettes.